I hope everyone had a merry Happy Thanksgiving! Mine was filled with food and more food 🙂 Woke up early to cook on Thursday and was too lazy to wake up early on Friday for shopping. 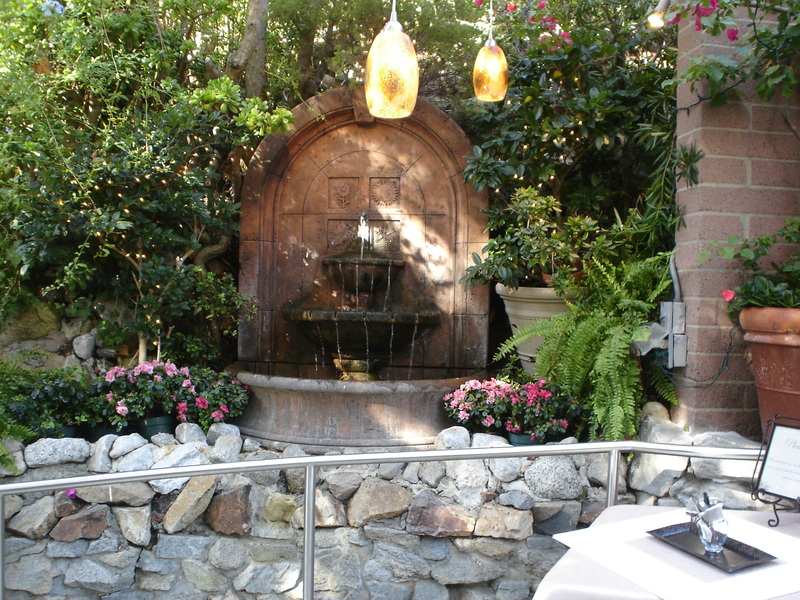 Saturday was 2 locations visit in Laguna Beach. 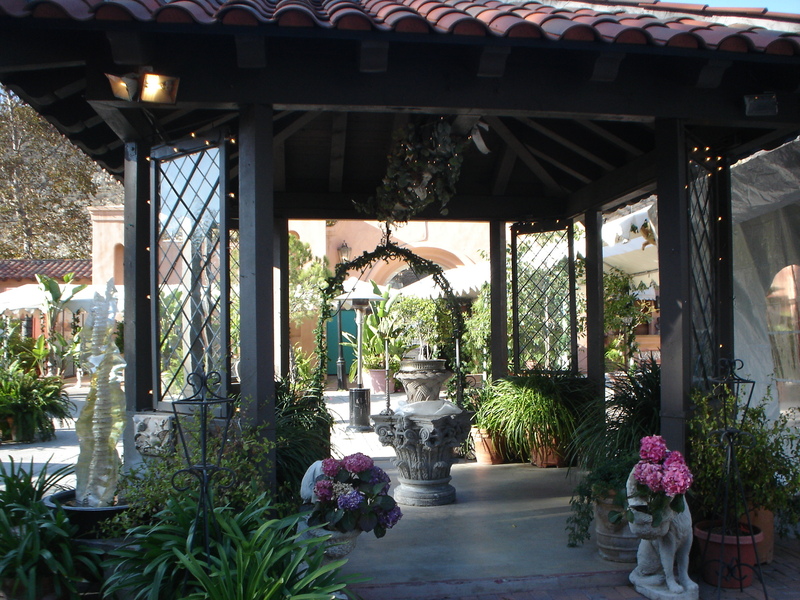 Wedding location #11 and #12 are both sisters to the location #5 in Santa Ana. 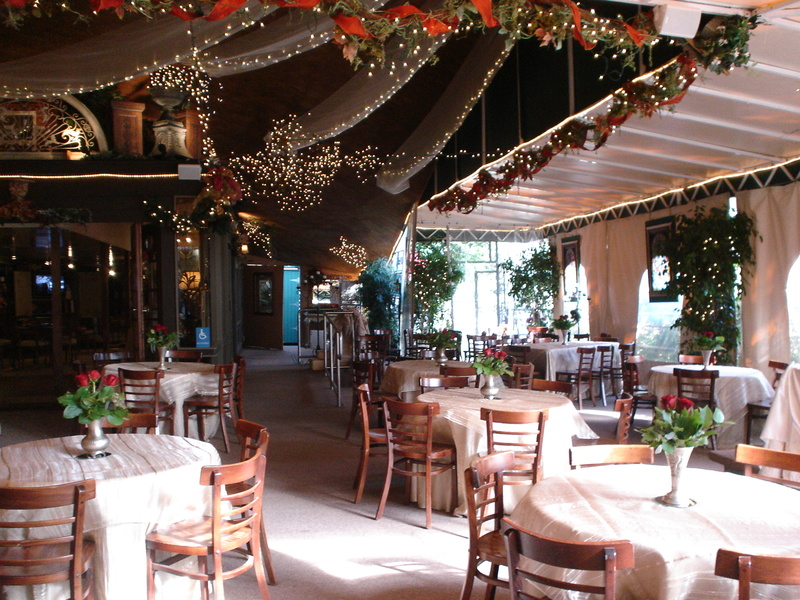 This venue is perfect for the outdoor-sy couple as it is surrounded by mountains. 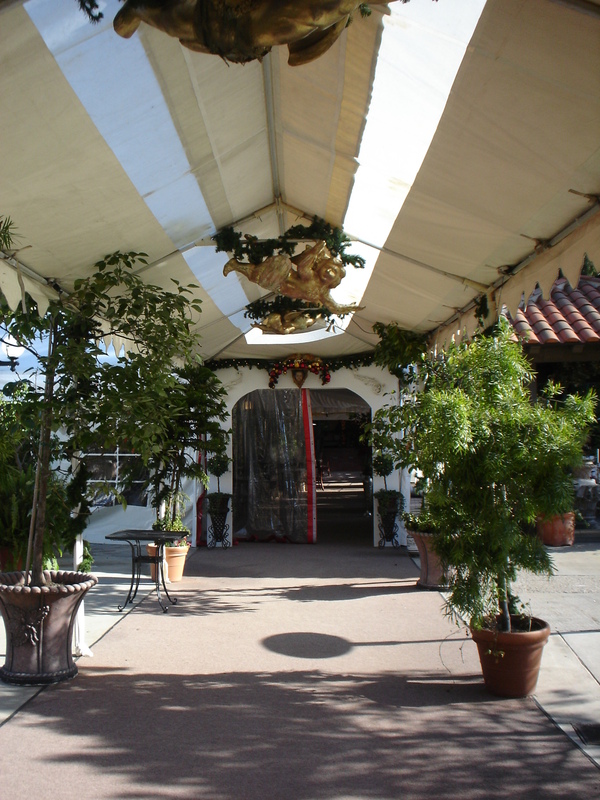 The location was decorated for the holiday festivities and the tent was up for their night event. 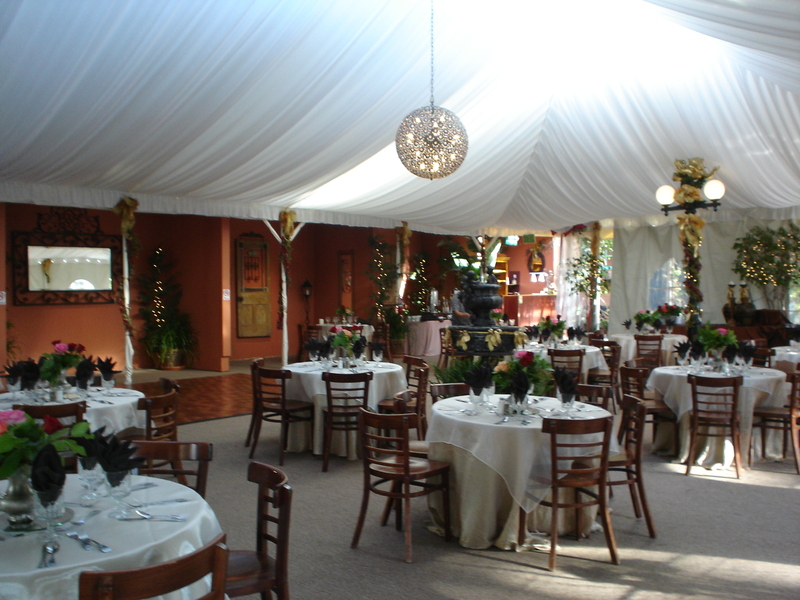 Starting May, the tent is removed and you can already picture the humongous outdoor wedding one can have. I’m not sure if you can see the waterfall in the back. I was there taking a picture and imagining the waterfall sound when a couple will say their vow. Soooo…..dreamy! 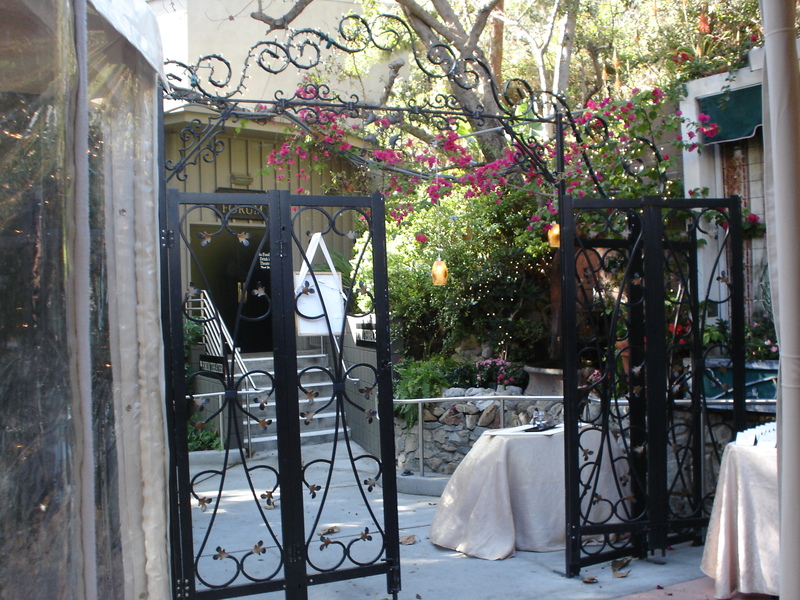 Entrance to the reception area. 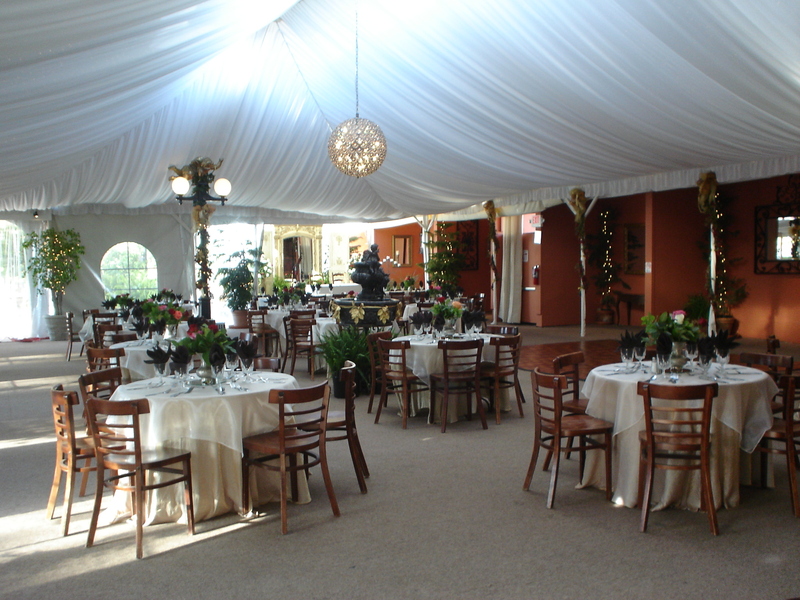 I love the chandelier in the middle of the tent. See what I mean by surrounded by mountains? Area where the cake will be displayed. Now, on a more personal note, did I tell you guys that I finished my Unit B with an A- from the school? So much work was put into the homeworks and I’m glad I stuck through it all. Now I’m working on Unit C….and it is not a piece of cake. Much more difficult than I thought. 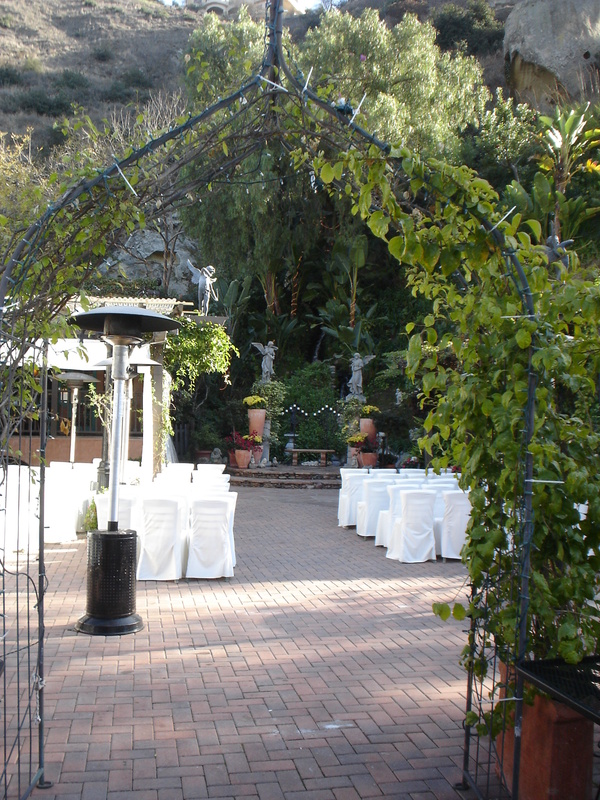 This place has a lush romantic garden for the ceremony and plenty of room for a memorable reception. 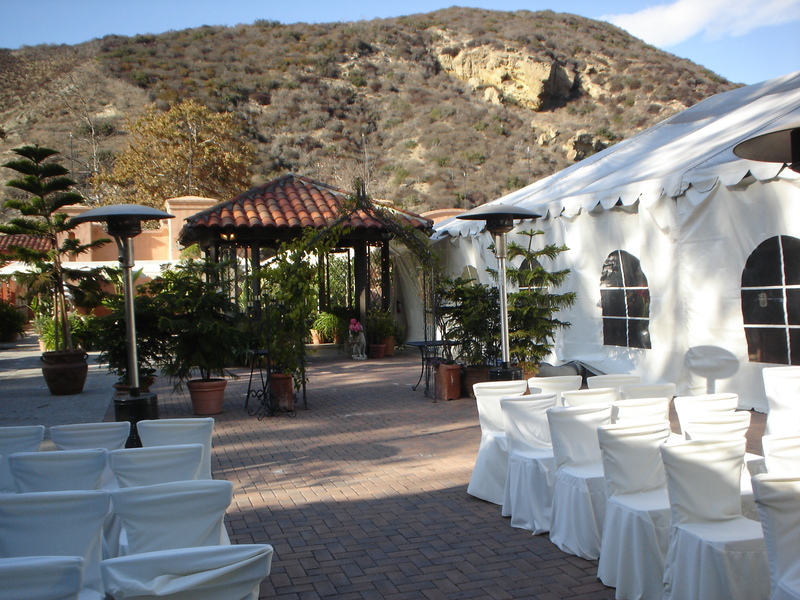 One thing about the city of Laguna Beach is that they have a sound/noise curfew so if a couple decides to do a night reception, it will end at 11PM. 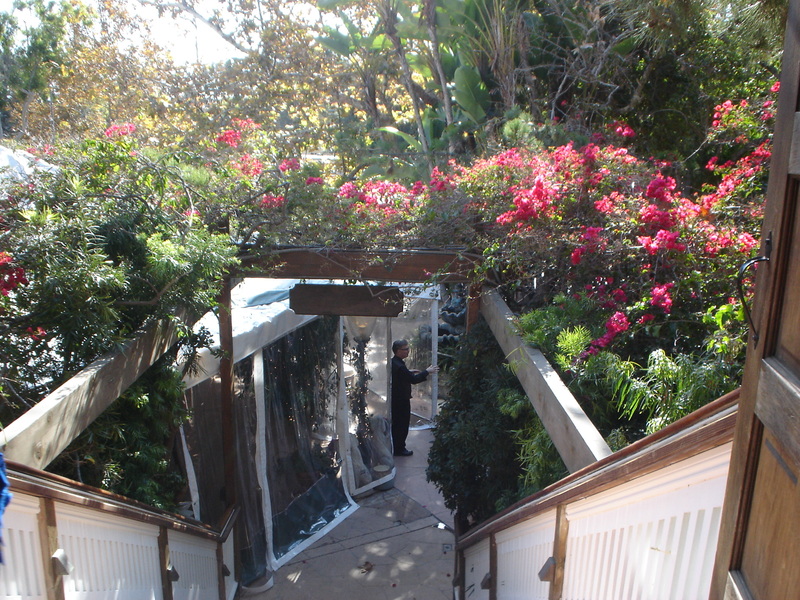 The entrance to the venue. 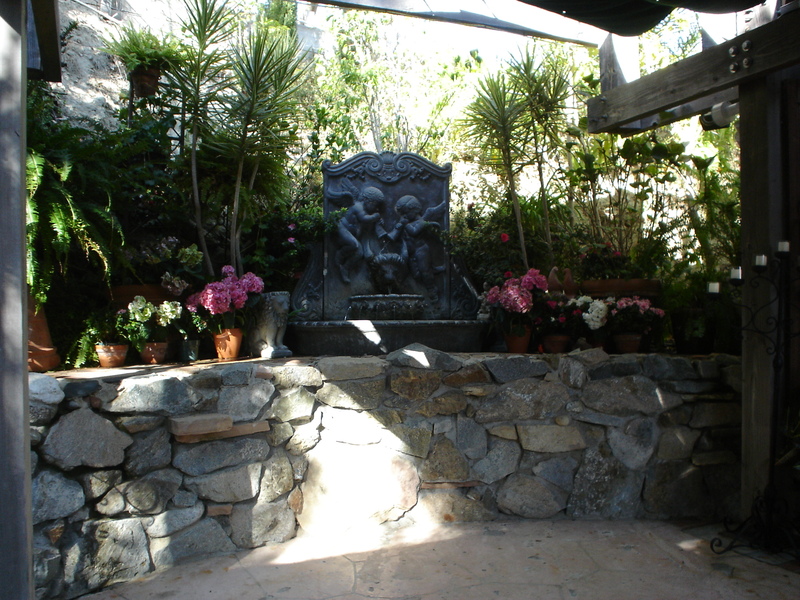 Fountain at the entrance. Did I mention I love fountains? 🙂 So serene and peaceful! 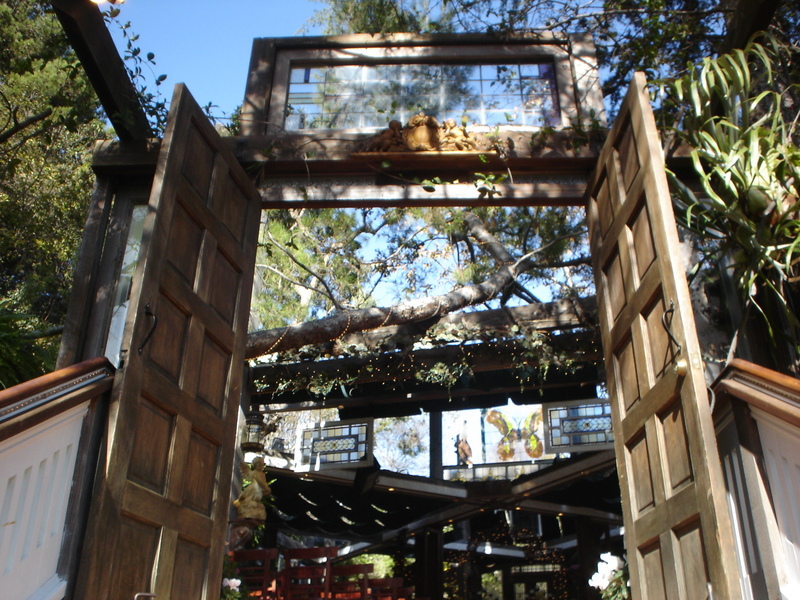 Looking at the back of the entrance. 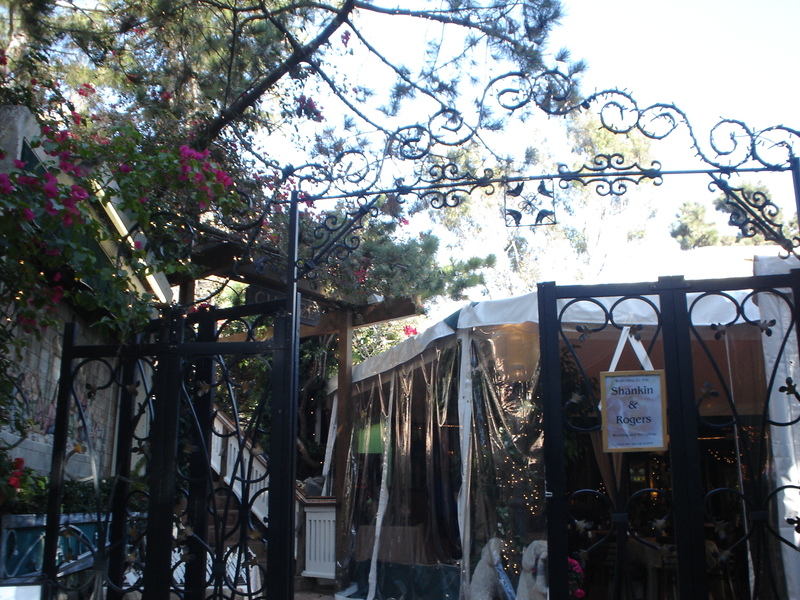 I love the gates and the flowing flowers falling down. 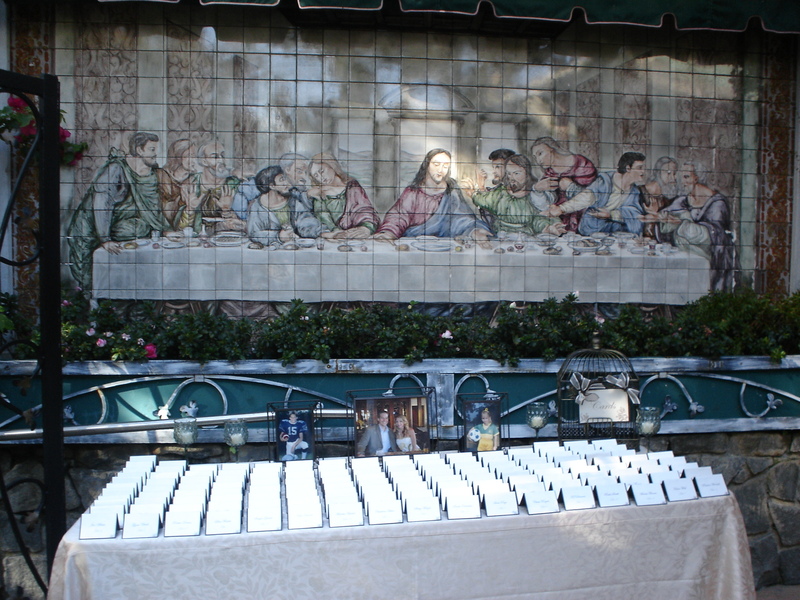 Place cards table….loving the mural in the back. Stairs walking up to the ceremony/chapel area. 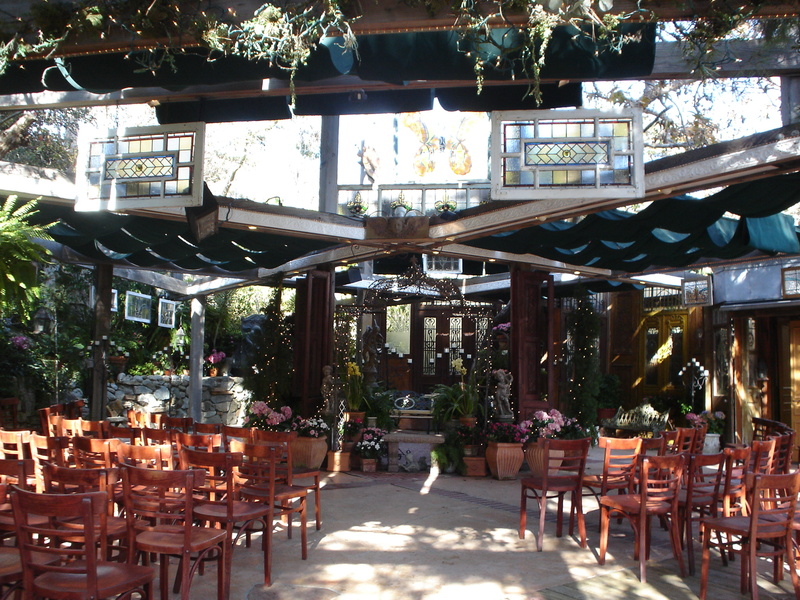 Ceremony area…so pretty and romantic. 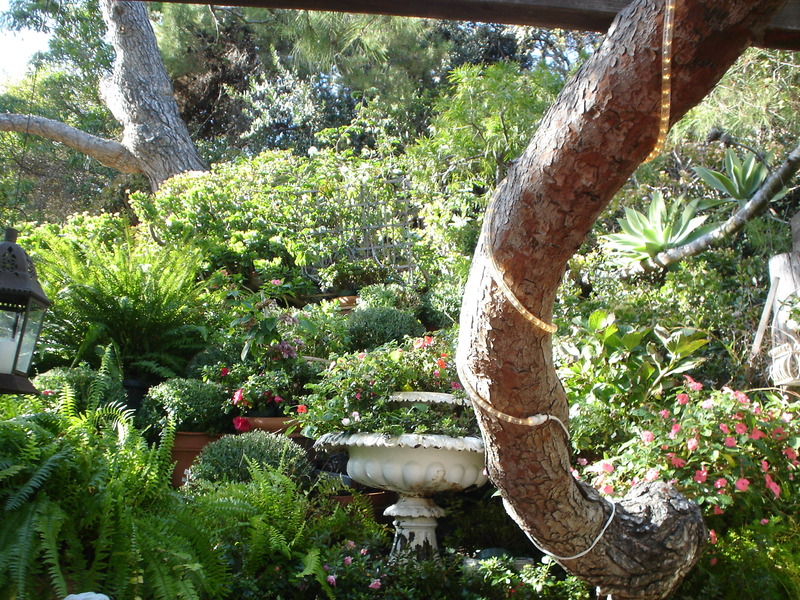 The ceremony area is surrounded by lush plants like a garden. View from the top of the ceremony down to the reception area. The location wouldn’t usually have the tent up but because it is winter, they put it up for the event they had that night. View of the reception area. 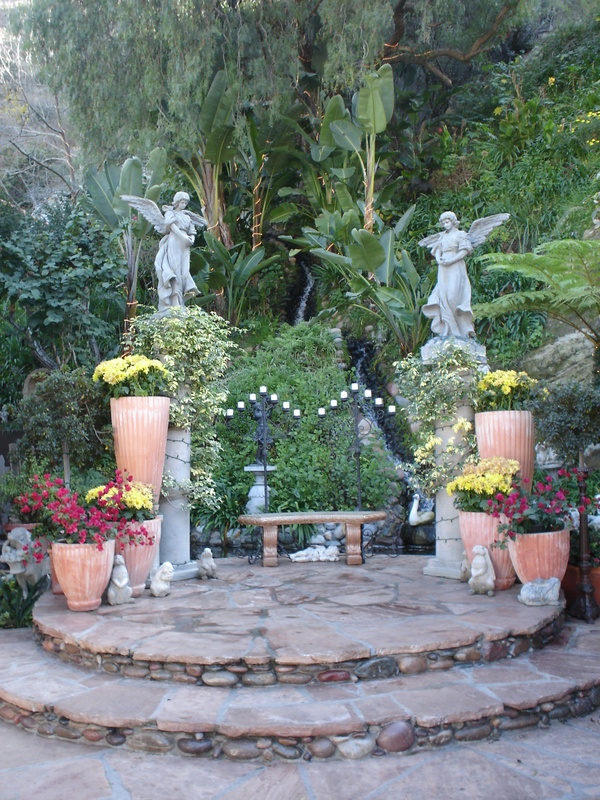 After visiting this place, I thought it was a very beautiful venue for an intimate, romantic and lush garden feel wedding. 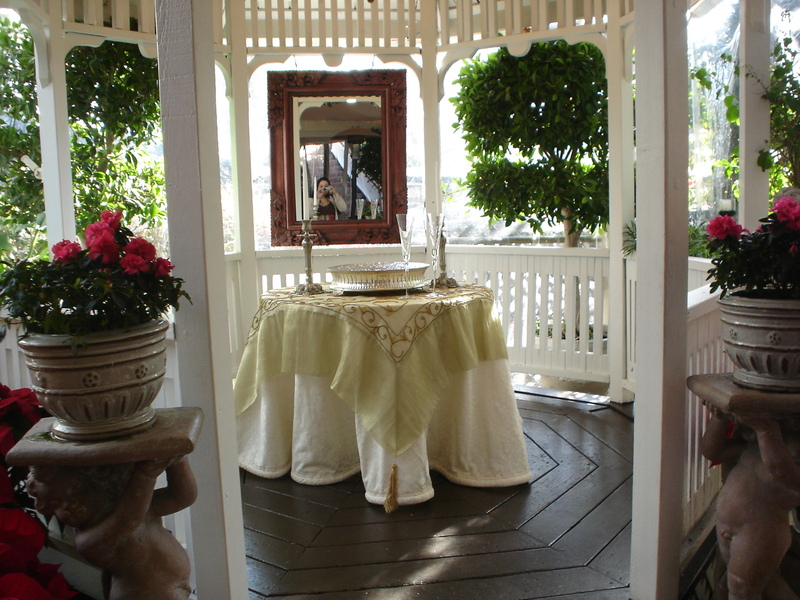 It’s definitely a good location for a spring wedding. 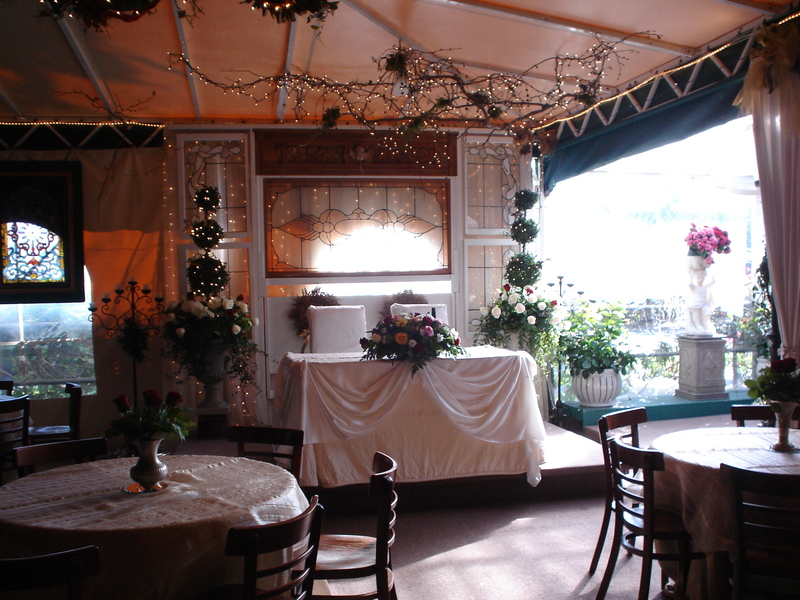 Many of you know that I am studying to become a “certified” wedding planner. I’ve just completed Unit A and sent it to the course for review. After so many hours researching, doing homework, reading material course, watching DVD lesson, I am proud to say that I am now….moving on to Unit B.
I saw this photo on Sarah K Chen blog and fell in love with it. Check out her work on www.sarahkchen.com. She is amazing and captures so many beautiful wedding photos.